Road & Rally Automotive, one of the UK’s fastest growing motor factors, has voted MAHLE Aftermarket as the winner of the ‘Filtration Supplier of the Year’. As a result of a ballot held by the factor to select their supplier of the year, MAHLE Aftermarket was the runaway winner in the component category as chosen by staff at every one of its six factor branches. 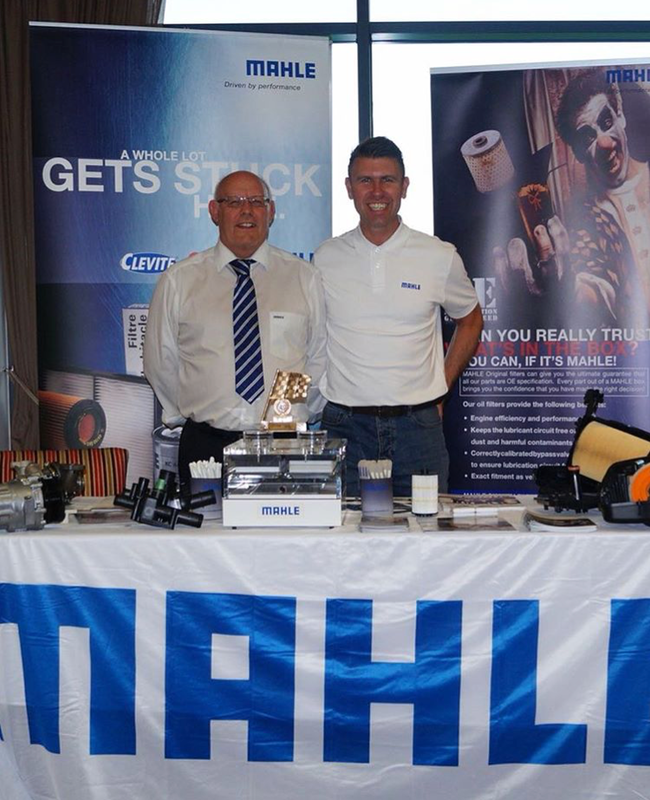 “The reason why MAHLE Aftermarket is our staff’s preferred supplier is because the range and availability sell itself. It’s a high-quality brand that is well received by our customers and is one we have supported for many years. MAHLE is one of the most reliable brands we sell in terms of performance, quality and affordability. Their availability is second to none, it’s clearly a winner here,” explained Louisa Mitchell, director of Road & Rally. The factor’s first ever trade show took place at the Proact Stadium in Chesterfield last month to celebrate its 40th anniversary and also announce the winner. The event was well attended, with 95 garages and more than 200 delegates including staff, customers and suppliers. “We’re delighted to add another award to our collection, and even more thrilled that we were chosen outright as preferred supplier by one of our customers, recognising MAHLE’s position as a leader in the industry,” said MAHLE Aftermarket managing director, Jonathan Walker. Established in 1978, Road & Rally’s branches are located across Derbyshire, South Yorkshire and Nottinghamshire with a distribution warehouse in Bolsover. MAHLE Aftermarket, the business unit of MAHLE Group specialising in spare parts, uses the expertise from the series production of original equipment in its automotive aftermarket product range, and supplies trade, workshop, and engine repair partners. Itt is represented at 25 locations and other sales offices worldwide, with around 1,600 employees. In 2017, the business unit achieved a global sales volume of EUR 956 million.